Per har sedan 2009 haft det övergripande ansvaret för e-barometern och har både utvecklat och positionerat rapporten. Han har i det arbetet haft nära samarbete med Svensk Digital Handel och HUI Research. Sedan 2014 har han också varit ansvarig för all PostNords marknadskommunikation i Sverige vilket till stor del fokuserat på events, PR och content marketing om e-handel. Innan han började på PostNord var han under 2001-2007 kommunikationsrådgivare på JKL där han främst ledde uppdrag med fokus på opinionsbildning, PR och medierelationer. A global quest for successful examples of corporate innovation in the face of technology-led disruption. David Rowan has taken 125 flights in the past year to investigate the companies and entrepreneurs changing our world, and has spent time with the founders of WhatsApp, LinkedIn, Google, Didi, Spotify, Xiaomi, Nest, Twitter and countless other ambitious startups from Tel Aviv to Shenzhen. Searching for bold corporate innovation. From augmented reality, artificial intelligence and cyber security to drones, nanotechnology and the genomic revolution, David Rowan is one of the world’s foremost experts on how technology is re-shaping the world around us. David Rowan is founding Editor-in-chief of WIRED’s UK edition (2008-2017). He has interviewed influencers ranging from will.i.am to James Murdoch, Zaha Hadid to David Cameron. He has keynoted on technology, business and innovation themes from Melbourne to Monaco, and has chaired and moderated high-profile events for the UK and French governments, for Google Zeitgeist and TED Global, and for international banks and Fortune 100 businesses. He’s an early-stage investor in 40 tech companies and co-founder of FlowJourneys.com, a non-profit taking amazing people for weekend adventures in the world’s most extraordinary locations. Co-founder & Host "Den Digitala Draken"
Market Places: Predicting how Amazon will impact Europe by looking at China’s development. Advisor digital strategy. Co-founder and host of the podcast “Den Digitala Draken”. Based in Stockholm. He has previously worked with digital business development at MTGx, Klarna and Schibsted. Entrepreneur, speaker and advisior. Co-founder and host of the podcast “Den Digitala Draken”. Based in Shanghai. Founder of the startup Move Shanghai. He has previously worked with digital expansion for companies in Europe, USA and Asia. Tingting is currently working with one of the fastest growing cosmetics brands in China, having sold millions of products during its first year of business. Previously Tingting was co-founder of Heyshop (A Chinese version of Shopify) and worked with business development of the Ping++ (Stripe of China). Before starting Flamingo with Shenyi Wu, Julie was Investment Manager at Sequoia Capital China. Julie holds a MBA from Yale and has vast experience from both the US and China. Shenyi Wu has a unique knowledge about the e-commerce market in China previously holding CFO positions for both Pinduoduo (31bn USD valuation) and RED (3bn USD valuation).Shenyi has a law degree from Yale Law School. Ms. Linda Li joined Vickers since its inception in 2005 and is a member of the Investment Committee. Based in Shanghai, she is responsible for investments in mainland China. Her areas of focus include consumer internet, digital healthcare, online education, and financial services. Prior to joining Vickers, Linda worked as a Statistical Modelling Research Fellow at Singapore’s National Institute of Education where she did statistical analysis and research reports for the Ministry of Education. Linda also accomplished many research projects for the Gallup and University of Michigan. Linda co-founded many groups for young PE/VC professionals as well as Peking University PE/VC Alumni and she also gave her speeches to young professionals in various events. Linda graduated from Beijing University and subsequently earned her master’s Degree from the National University of Singapore. She is a CFA charterholder and a Kauffman Fellow of class 16 from Silicon Valley. Nicholas is the former head of Innovation for JD AI, part of China’s largest e-tailer JD.com (33bn USD valuation). He holds a Master of Business Asministration (MBA) from Stanford University Graduate School of Business. Ett samtal med Gents grundare och VD Jenny Rydhström om entreprenörskap och marknadsföring. Om hur Gents använder segmentering och analys för att definiera sina mest lojala kunder och skapar relevant kommunikation som leder till mer försäljning. Och om hur kombinationen marknadsföring i fysiska och digitala kanaler visat sig vara mest framgångsrik för Gents. Jenny Rydhström är grundare och VD för Gents. Hon är i grunden skattejurist men bestämde sig 2006 för att tillsammans med sina två kusiner starta Gents. Förutom e-handel har företaget även två fysiska butiker i Helsingborg och deras egna varumärken säljs förutom i deras egna butiker bland annat på NK och Åhléns. Företaget omsätter 52 miljoner kronor och var DI Gasell 2018. Today’s fastest growing retail and ecommerce businesses don’t wait for demand, they create it. This is because today’s consumers want brands to find them with products they didn’t even know they wanted, at the right time, through immersive experiences. Facebook’s Marten Barkman will share new insights into one of the biggest trends in social commerce at the moment, discovery. He will share his view on how retailers can learn from disruptors leading the way through passive discovery, and demonstrate through real life examples what the next phase of social shopping looks like. Respected as a credible voice and thought leader in the fast-moving digital world, Mårten earns a seat at the table wherever he serves. Currently, as Director SMB at Facebook where he oversees a massive upscaling of an organization serving over one million digital advertisers. Previously, he served as Managing Director Scandinavia at PayPal where he drove the acquisition of significant market share and more than doubled the digital payments business in his region. Earlier he had multiple roles at Western Union including Head of Strategy EMEA, regional responsibility for the Nordics and later the larger Western Europe region. Mårten previously served as Deputy Director at the board of Tradera AB and also at the board of Global FX and Payments, a company he co-founded and later divested. Tillsammans med Marcus Tagesson köpte Linn Tagesson domänen Babyshop.se år 2006. Nu omsätter koncernen drygt en miljard kronor, har förvärvat bolag i Sverige, Storbritannien och Norge och har försäljning över hela världen. I ett samtal med HUI Research Emma Hernell delar Linn med sig av framgångsfaktor och fallgropar från mer än tio år av kraftig expansion genom förvärv och organiskt. Linn Tagesson är medgrundare och Chief Cultural Officer på Babyshop Group. Koncernen bedriver e-handel från www.babyshop.com, www.lekmer.se, www.alexandalexa.com och www.oiidesign.se samt har även 11 fysiska butiker i Norge och två i Sverige. Koncernen omsätter årligen över 1 miljard SEK. I dagens värld där shopper-resan är mer komplex än tidigare och bruset är enormt är det viktigare än någonsin att förstå dina konsuments beteenden och bygga starka varumärken. Omnikanal är inte längre bara ett buzz word, utan en strategi som måste vara en del av både återförsäljare och varumärkesägares DNA. Men innebär omnikanal att man skall agera exakt lika dant i alla kanaler? Inte nödvändigtvis, kunskap om hur shopparbeteendet skiljer sig online jämfört med offline samt förståelse för det pågående kanalskitet är nyckeln till relevant differentiering och smarta strategier. Jonas Åkermark från Essity tar dig igenom vilka strategier varumärkesägare kan använda för att framgångsrikt nå online-shoppern. Jonas är Senior E-Commerce Activation Manager på Essity och jobbar med att utveckla onlineförsäljningen på e-retailers. Jonas har arbetat med e-handel i 19 år och har varit engagerat i över 100 e-handelsprojekt inom olika branscher som media, mode, elektronik m.fl. och är nu passionerad att ta dagligvaruhandeln online till nästa nivå. International expansion represents a massive growth opportunity. Despite political uncertainties, international expansion represents a massive growth opportunity – and it has never been easier to pursue it than in today’s digital world. Google is a highly dedicated partner to Swedish companies of all sizes aspiring to seize this opportunity, and support them on every step along the way. Tobias is a Director of Google’s Large Customer Sales division, overlooking the International Growth advisory services and offering. International expansion is ​a fast-growing area for Google’s customers as businesses truly realise the world wide scale of the Internet.​ The International Growth Team is dedicated to helping Google’s customers identify and successfully pursue growth opportunities in international markets, making it easy to reach new customers anywhere in the world. Google’s offering spans from identifying new markets based on Google’s insights on global consumer demand, to developing suitable digital advertising strategies and helping customers successfully execute them with regards to translation and localisation of web assets and ads, payment solutions, customer care and logistics. Göran is a Sales Manager of Google’s Large Customer Sales division, overlooking the Swedish Market across all industries. The Large Customer Sales division is helping major companies in Sweden to grow their business both domestic and abroad with Google solutions and partnerships. Göran also co-leads the International Growth business for Google Sweden which in particular is helping Google’s customers identify and successfully pursue growth opportunities in international markets, making it easy to reach new customers anywhere in the world. Göran has 15+ years of experience of driving and delivering measurable business results in digital transformation. Experience from transforming business offline to online as well as developing new business in Online Marketing. Competition, economics and technology have transformed the retail market considerably, increasingly so in the last few years. Disruption may have become an industry buzzword but it is certainly true that the effects of it have both exposed retailers to more risk and opened up opportunities. Jamie is Director of Industry Strategy & Insights at Salesforce and has worked in the retail industry for 20 years. Prior to Salesforce, he held a number of management roles for brands including American golf, Fanatics, Brora and many more. Mångfald i kommunikation – så fungerar det! Allt fler kunder och potentiella medarbetare väljer företag utifrån värderingar, och allt fler företag vill spegla en mångfald av människor i sin marknadsföring. Men hur funkar mångfald i kommunikation egentligen? Är det en ytlig trend, eller ett effektivt verktyg? Nina Åkestam pratar utifrån sin egen och andras forskning om vad data visar, och ger konkreta tips om hur kommunikation kan stärka varumärke och samtidigt göra världen lite bättre. Nina är analytiker och doktor i ekonomi. Hon disputerade 2017 med den uppmärksammade doktorsavhandlingen Understanding Advertising Stereotypes. Nina har under mer en tio år varit en stark röst i debatten om reklamens roll i samhället, och blev 2018 utsedd till Årets Branschpersonlighet av Sveriges Mediabyråer. H&M-Gruppens affärsutvecklingschef i samtal med HUI Researchs Emma Hernell om hur H&M formar en modern kundupplevelse. Daniel är Head of Business Development och medlem av ledningsgruppen för H&M-Gruppen. H&M-gruppen som består av nio varumärken; H&M, COS, & Other Stories, Monki, Weekday, Cheap Monday, H&M Home, ARKET och Afound. Han har varit verksam inom H&M i drygt tio år och har tidigare bland annat varit ansvarig för H&Ms e-handel globalt. Let’s face it: No one likes returns. For online retailers, they create logistical and payment complexities that ultimately eat into margins. They are also a hassle for impatient shoppers, who are often forced to wait anywhere from 3 to 30 days for their refund. But while managing the process can be a headache, offering a great returns experience can make the retailer stand out in shoppers’ minds and build brand loyalty. Trustly surveyed 1,700 consumers about their online shopping experience and found that 65% consider ease of refunds while selecting where to shop, while 95% would stay more loyal to brands offering faster refunds. In this session, we’ll dive into how faster refunds can drive shopper loyalty. Luke is a payments expert, bringing a wealth of knowledge with his 12 years of experience in the industry. Prior to joining Trustly, he worked for the likes of Barclaycard, WorldPay and, more recently, Klarna. Over the years, Luke has worked closely with household retail brands such as ASOS, Footlocker, Boohoo, Missguided, Net-a-Porter, where payment alternatives has been a key driver for global success. Lyckas med din digitala marknadsföring - trots stigande annonspriser & konkurrens. Lyckas med din digitala marknadsföring – trots stigande annonspriser & konkurrens. Jonas Carlström är idag digital marketing specialist på e-handelsbyrån Star Republic i Göteborg men har erfarenhet av digital marknadsföring från ett flertal olika företag. Däribland senast ifrån NA-KD, Mat.se och Schibsted. Front end web shop solutions are important to drive revenue however without powerful backend solutions the business is at risk from a multitude of detractors, including stock outs, poor customer service and inaccurate reporting. This session will explore the importance of having a unified business platform. Working in the Software and ERP industry for the last 18 years with a focus on Retail, Wholesale Distribution and Manufacturing industries. Prior to this gained hands-on experience working with different roles within each of these industries. As an industry principle at Oracle NetSuite my focus is helping businesses share information across the shop floor, front and back office and e-commerce platforms in real-time allowing them to react quickly to meet the business needs. Presenteras av Columbus: Går det att bli Unified Commerce på 2 år? Dagens affärslandskap kräver en enhetlig och relevant kundupplevelse. Enligt en undersökning räknar 8 av 10 företag med att erbjuda Unified Commerce i slutet av 2020. Columbus har bjudit in några starka aktörer i branschen för att diskutera detta i en paneldebatt. Vad innebär det att erbjuda Unified Commerce? Är det realistiskt att erbjuda det inom 2 år? Hur balanserar man mellan långsiktig affär och kortsiktig överlevnad? Vår panel delar med sig av erfarenheter, insikter, råd och hur man hinner ställa om tillräckligt mycket tillräckligt snabbt för att inte ätas upp av internationell konkurrens. Karin har lång erfarenhet från business development inom Retail. Sedan två år tillbaka arbetar hon som ansvarig för IT och digital utveckling på Kronans Apotek. Stort fokus ligger på kundupplevelse och på hur ett mycket reglerat och traditionellt apoteksbolag kan gå mot att bli en modern online-aktör. Andreas ansvarar över digital kommunikation på Bevego. Han har arbetat med digital kommunikation sedan 2009 med fokus på spårning och analys. Andreas anser att förståelse för den komplexa helheten mellan kund, organisation och affär är grunden för att kunna ta fram strategier som leder till framgång för organisationen och kunderna. Sebastian har en bakgrund som civilingenjör, arbetade i yngre ålder i många år inom retail, då primärt som säljare. Gick efter studierna vidare till iStone (numera Columbus) för att arbeta som konsult inom omnikanalsfrågor där vikten låg på e-handel och PIM för diverse bolag. Efter att ha konsulterat för XXL sedan 2012 tog han anställning under 2015, då som ansvarig för den tekniska och strategiska utvecklingen av e-handeln och dess kringliggande system/processer. Numera arbetar Sebastian som CDO för koncernen med ett bredare och tydligare fokus på hela värdekedjan. 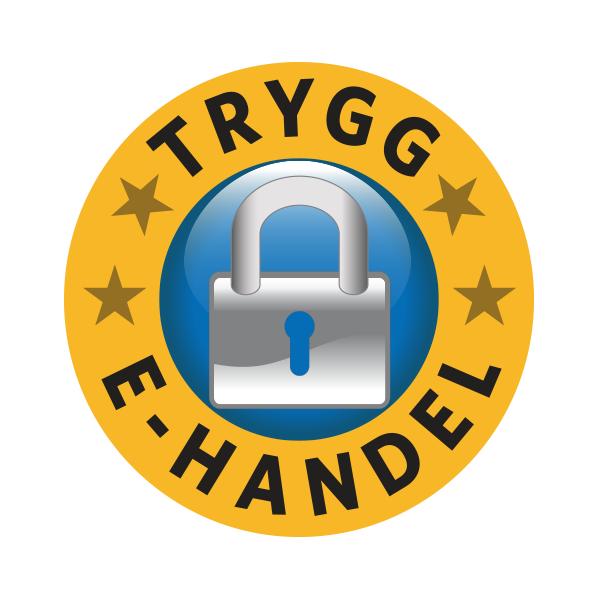 E-handeln fortsätter att växa och konkurrensen om kunderna är stenhård. Det är idag viktigare än någonsin att erbjuda ett unikt och individanpassat bemötande. Den personliga upplevelsen är i fokus där konsumenterna förväntar sig att siten förstår dem. Tidigare krävdes det stora resurser för att lösa detta, men med dagens snabba teknikutveckling finns helt andra möjligheter där AI spelar en viktig roll. Men vad innebär det egentligen och hur kan det se ut i praktiken? Jessica har en gedigen erfarenhet av den digitala retailbranschen och arbetar idag som interim e-commerce director på Lagerhaus. Hon driver nu eget bolag med fokus på utveckling av digitala strategier och har tidigare bland annat arbetat en tid i Silicon Valley, som e-handelschef på Ellos Group samt marknadschef på Jollyroom. Jessica har stor vana av att ta snabba beslut och driva på för att ligga i framkant av utvecklingen. Hon har studerat internationella relationer samt ekonomi vid Handelshögskolan vid Göteborgs Universitet. Robin är vd och medgrundare på det svenska teknikföretaget Loop54. Sedan 2013 har han byggt ett varumärke som genom smart användning av ny teknik tacklar de utmaningar som e-handlare står inför i både norden och norra Europa. Som vd på Loop54 är han starkt involverad i framtiden för AI och hur man bäst ska implementera det för att skapa en starkt personlig kundupplevelse. Kommunicera Communication presenterar: Cellbes – Våga förändra eller tyna bort!